A new program delivers breakfast directly to the classrooms; this program helps all kids receive a nutritious start to the day. Star City School District, in partnership with Chartwells K12, is helping all students fuel their day in a new and nutritious way. Beginning October 4th, students at Jimmy Brown Elementary are getting a complete breakfast delivered straight to their classrooms every morning. “Our objective is simple, to feed and take care of students,” Superintendent Jon Laffoon said. “We’ve all heard that breakfast is the most important meal of the day, yet it is the most commonly missed meal. 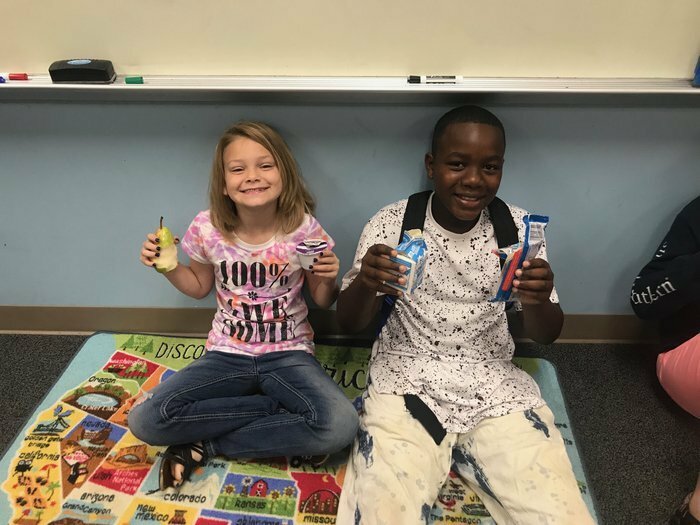 Students need some form of nutrition in the morning to give them the energy to stay awake in class and improve cognitive function,” said Amy Bliz, RDN. “For many students, getting to school early enough for breakfast is a challenge, which is why the food service department is meeting students where they’re at - in the classroom to help give them a great start to the day,” according to Director of Student Services, Nathan White. Studies show that students who regularly consume breakfast have fewer behavioral problems, higher grades, and healthier body weights. Because of the benefits breakfast consumption has on student health, well-being, and academic performance, Star City Schools decided to cover the cost of breakfast for all students. The District did not want the burden of paying for school breakfast to prevent any child from eating. Since implementing this program, average daily breakfast participation has gone from approximately 350 students to over 600 students. This is considered a huge success for both the students and staff at Jimmy Brown Elementary. “Now we are feeding more than twice the number of students than we have in years past, ensuring all students have full bellies and energy to fill their minds throughout the day. The administration, food service staff and Chartwells K12 could not be more proud of the successful outcome of this program. We look forward to providing nutritious meals to Star City students for years to come,”said Amy Bliz, RDN.